MotoGP technology built for all road conditions. Get the confidence you need to unleash the full power of your hyper sports bike. This tyre sets new standards for stability, grip and precision performance. Advanced, multi-compound construction on both front and rear tyres offer superior handling characteristics across the full spectrum of road conditions. 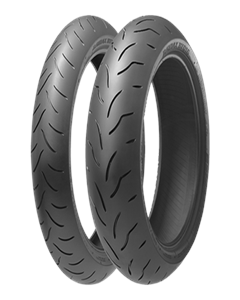 The Battlax BT-016 PRO’s advanced, silica-reinforced compound boosts wear resistance while maintaining consistent performance levels throughout the life of the tyre. Enjoy the peace-of-mind of Bridgestone’s relentless dedication to safety. Get superior wet-weather handling without compromising on grip, handling or stability in dry conditions. Accommodating a wide range of ultra-high-performance bikes.